Event Description : THEATRE : Navyam Studio Works presents "Azaadi - Ek Safar" Hindi Play. 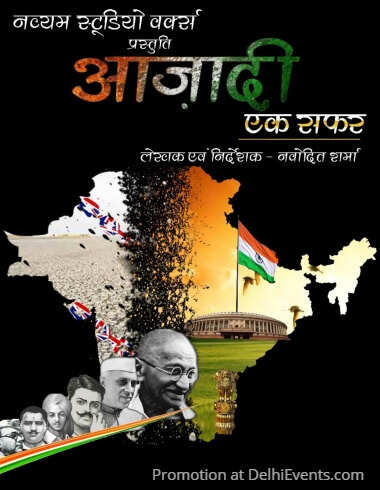 Synopsis: Azaadi – Ek Safar is a theatrical adaptation of Indian freedom struggle movement. The play depicts the important events of freedom revolution and atrocities done by the Britishers on Indians. It shows how each and every revolutionary made his/her contribution to the independence movement and how important was each one of them.